An official esports varsity squad is coming Marquette University, the first major college in the Big East conference to field a full-fledged team collegiate gamers. 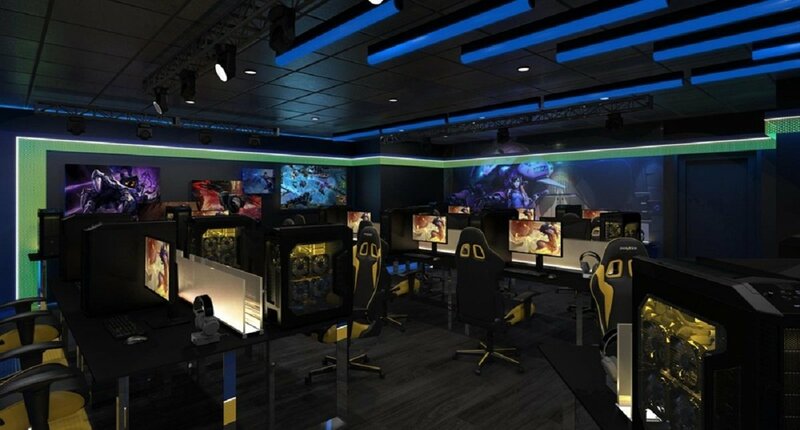 Starting in the fall of 2019, Marquette will field its first varsity esports team. Marquette started a club team in 2015, but this fall will be the first time the school competes against other official collegiate teams. The current club team consists of approximately 40 members and they participate in club events against other Big East schools. “Marquette embraces new methods of teaching and areas of study, and esports and gaming in general have the potential to impact both while also helping to strengthen our student recruitment prospects in an increasingly competitive environment,” said Marquette president Michael R. Lovell. Global esports is expected to reach $905 million in revenue, up 38 percent according to the 2018 Global Esports Market Report. In viewing terms, the global audience for esports is approximately 380 million. Tyler “Ninja” Blevins, an esports pro is also one of the top streamers in the world with 21 million subscribers on YouTube. Marquette will be hosting tryouts and hiring a full-time coach. The esports team will fall under the rest of the athletics department. “Marquette has been closely watching the development of esports, both as a global trend and as an integral part of the future of the Big East Conference,” said Marquette AD Bill Scholl. Last December, Riot Games and the Big East entered a partnership in which they would host a series of League of Legends tournaments. According to Riot Games, 35 percent of League of Legends players are college students. Seven of the ten Big East schools participated. The season kicked off last week and runs through March. Matches are played on Sundays. The Big East has been synonymous with basketball since its inception in 1979. Several major Catholic colleges and university on the East Coast did not boast top football programs. Instead, they formed their own conference to highlight the best basketball in the country. ESPN featured the halcyon days of the Big East for a 30 for 30 documentary film. In 1985, three Big East teams advanced to the Final Four with Villanova, Georgetown, and St. Johns representing the best college hoops team in the country. Furthermore, Villanova defeated Georgetown in the championship game, which to this day marks one of the greatest achievements in Big East history. With the advent of lucrative multi-million-dollar television deals for college football, the Big East underwent a metamorphosis from a perennial basketball conference to a budding college football super conference. The original hoops school could not field football teams. Therefore, the seven Catholic schools focused on basketball opted out in 2012 and created a new version of the Big East. The football-heavy programs formed a new conference called the American or American Athletic Conference (AAC). Marquette is the first Big East school to recognize esports. With seven schools already participating in League of Legend tournaments, other schools are expected to follow suit and form their own varsity squads. Fortnite blew up in 2018. Epic Games released a mobile version of Fortnite, so the free-to-play survival game exponentially grew. Fortnite quickly became a global phenomenon and Epic passed $1 billion in revenue in July 2018. Players of all ages were hooked on Fortnite. Some of them grew too fond and a little too addicted to Fortnite. Several of the top Fortnite streamers, such as esports pro Tyler “Ninja” Blevins, became overnight rock stars because of their massive following on Twitch and YouTube. Most recently, Ninja equated esports pros to NFL players. Even professional athletes caught the gaming bug. Kansas Chiefs quarterback Patrick Mahomes is an avid fan of Fortnite. Vancouver Canucks players played too much Fortnite that the team banned the game in the locker room and on road trips. Pro sports and esports have become entwined. Madden NFL 19, the popular football video game, runs a series of simulations leading up to the Super Bowl. The accurately predicted the winner in 10 out of the previous 14 Super Bowls. In this year simulation, Madden predicted that the underdog LA Rams will win Super Bowl LIII and edge out the New England Patriots by three points.